The FY 17 budget process is in full swing, and AIEA has been active in monitoring and supporting actions to preserve and extend federal support for international higher education in key departments and agencies. As discussed at an Advocacy panel session at the recent AIEA Conference in Montréal, the Administration’s FY17 budget included some good news, particularly in various exchange programs administered through the Department of State, and some mixed news for HEA-Title VI/Fulbright-Hays programs administered through the Department of Education. AIEA has posted the conference power point presentations of panel participants Mark Overmann, of the Alliance for International Education, and Miriam Kazanjian, of the Coalition for International Education, on the AIEA web page for reference and detailed information on proposed funding for various IE programs. On the HEA-Title VI/Fulbright-Hays front, while the Administration’s budget proposed level funding for Title VI, conference participants were alerted to the Administration’s proposed 69% cut in the Fulbright-Hays programs (not to be confused with the ‘regular’ Fulbright programs administered through the State Department which were pegged at level-funding levels). Immediately after the conference AIEA joined with other organizations participating in the Coalition for International Education to work with key Senate and House leaders to help preserve FY 2016 levels and seek a $6.5 million increase in funding in the upcoming FY 2017 appropriations process. Consultant Miriam Kazanjian led successful efforts on both the House and the Senate side to mobilize leadership and support to propose ‘robust funding’ for a range of international education programs housed under HEA-Title VI and Fulbright-Hays programs. House and Senate action took the form of ‘Dear Colleague’ letters to chairs of key appropriations subcommittees, urging strong support for robust funding of international education. On the House side some 43 members signed a letter proposing “at least” FY 2016 funding levels; the Senate letter requested a $6.5 million increase over FY 2016 levels and was signed by 21 Senators. Copies of these letters are available on the AIEA web page under ‘Advocacy.’ Thanks to all AIEA members who helped mobilize congressional support for these initiatives. As the appropriations process continues in the weeks ahead, additional advocacy work will be needed to prevent any cuts and support for the Coalition’s proposal to increase Title VI/Fulbright-Hays by $6.5 million in FY 2017. Attached to this report and for posting on AIEA’s website is the Coalition’s March 3 letters to House and Senate appropriations leadership on this issue, signed by 30 associations. 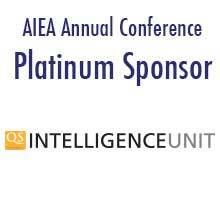 We encourage AIEA members to brief their government relations officers to help multiply the message. In addition, as was the case last year, Miriam is working with the National Humanities Alliance to post on its website another e-mail Action Alert page for individuals to write to their Congressional Members, to be activated shortly.